Directions: Plug in and turn on your waffle iron. Prepare the pancake mix, by combining the mix, cinnamon, milk, eggs and oil. In a seperate bowl, cream together the cream cheese and sugar. 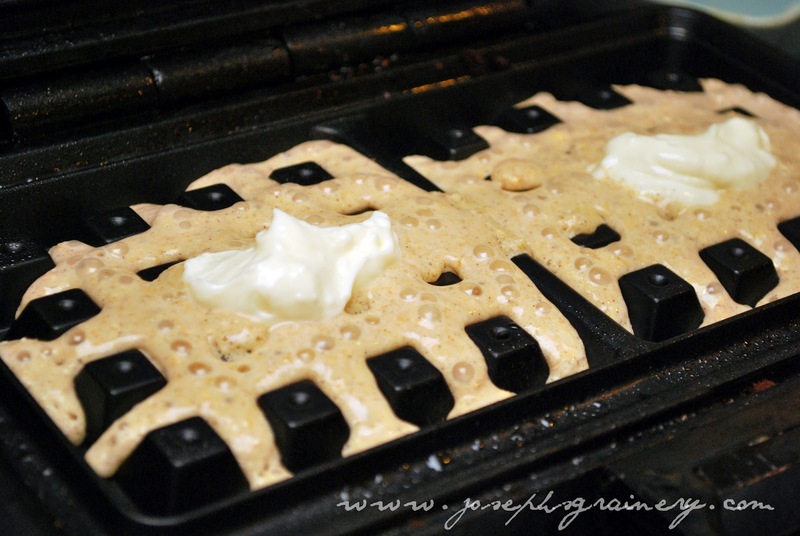 Pour about half of amount of waffle batter that you'd typically pour on your waffle iron. Place about a tablespoon of the cream cheese mixture on top of the batter. Pour the other half of the batter that you'd typically add, covering the cream cheese. 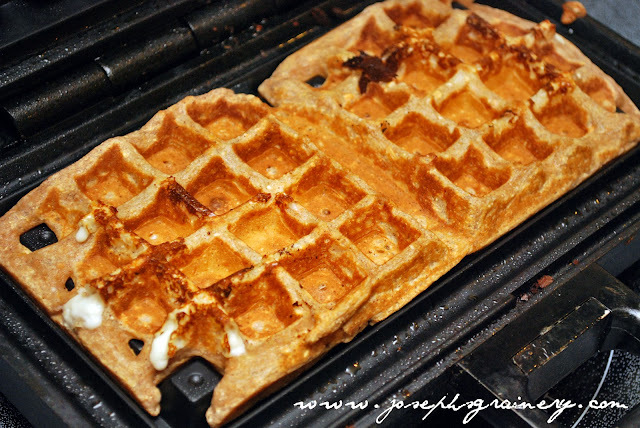 Close the waffle iron and let it cook. 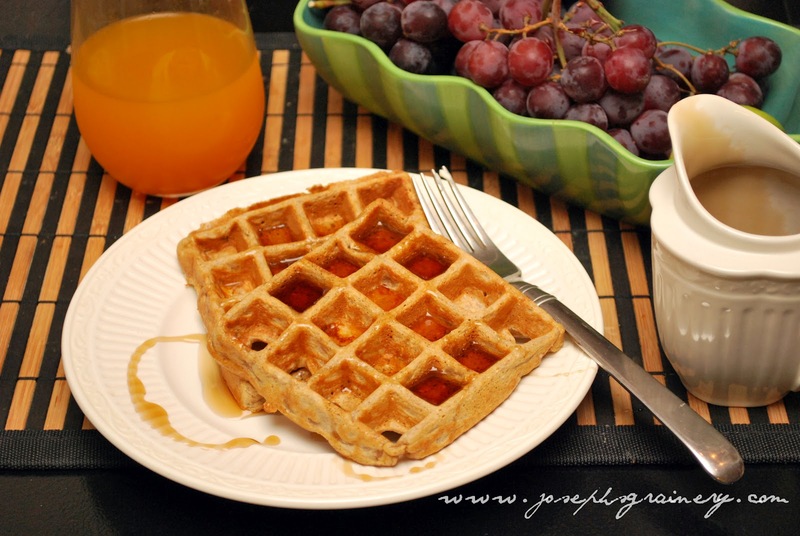 Let the waffle iron do it's thing, once they are done, smother the waffles with syrup and enjoy! 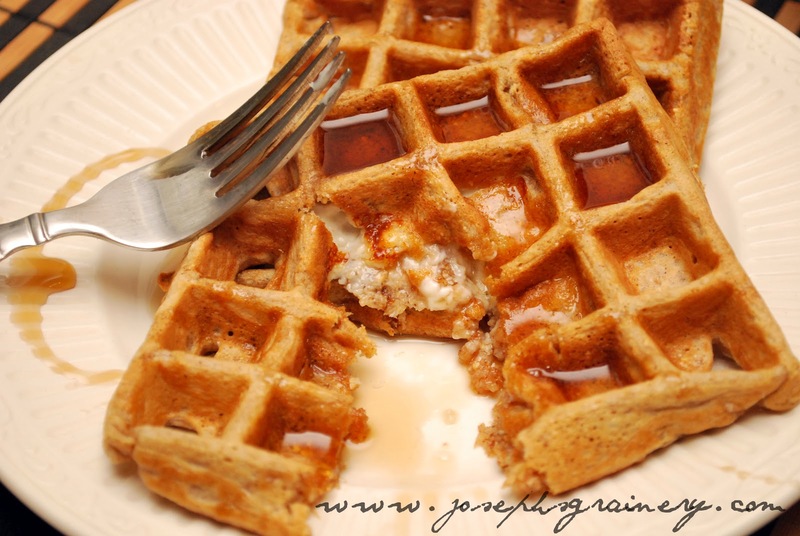 We got our inspiration for this post from a recipe we saw on Cheeky Kitchen.